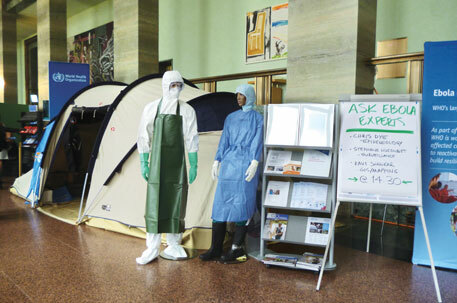 The 68th World Health Assembly (WHA), the annual meeting place for policymakers from the 192 member states of the World Health Organization (WHO), was held between May 18 and 26. 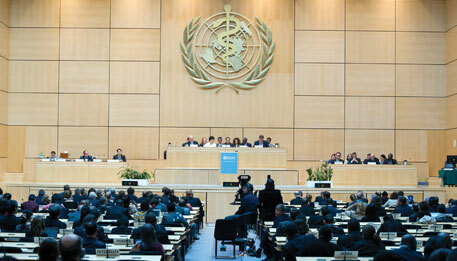 The members decided on policies that will guide global health in the coming years. But they failed to reach a consensus on the crucial Framework of Engagement with Non-State Actors (FENSA), a process to determine the rules of engagement between WHO and non-state actors, a moniker used for academia, non-governmental organisations, philanthropic foundations, and the private sector. FENSA was included in the ongoing WHO reform process in 2013 after civil society groups and member states raised the issue of industry bodies trying to influence health policies at the Assembly by providing funds for specific projects that suited their agenda. Just prior to the recent Assembly, an intergovernmental meeting took place in Geneva to look into FENSA. The meeting was inconclusive. Then on the first day of the WHA, a committee was set up discuss the issue further. After nine formal and three informal sessions, the committee submitted its report that said more work needed to be done before FENSA resolution could be adopted. The committee suggested that another intergovernmental meeting should be convened by October so that a decision is ready to be discussed in the executive board meeting before the 2016 WHA. The growing representation of the corporate sector at this year’s Assembly was alarming. WHA permitted more than 100 delegates from the Global Health Council (GHC), a group of stakeholders from industry, academia and others involved in the health sector. GHC charges a hefty fee from its members, which is affordable only to rich industrial groups. One of GHC delegates was Scott Ratzen, vice-president, Global Corporate of global brewer Anheuser-Busch InBev. He attended the Assembly as the editor-in-chief of the Journal of Health Communication without any mention of his industry affiliation. Members of industry body International Food and Beverage Alliance (IFBA) were also invited by WHO to attend the Assembly. IFBA represents members from the food industry such as Nestle, Ferrero, Coca Cola, Mars, McDonalds and PepsiCo. What is even more worrying is that industry lobbies are using delegates of member states to voice their concerns. This was seen at the executive board meeting of WHO in January this year where the Italian delegation seemed to speak on behalf of the sugar lobby. The delegation vehemently opposed a 2014 WHOdraft guideline that recommended daily energy intake for a person from sugar should be reduced from 10 per cent to 5 per cent. Vito De Filippo, under-secretary for health from Italy, said “sugar is an essential nutrient” and argued that reducing sugar intake was “overly restrictive”. What he did not mention was that Italy is a major sugar producer and the country is host to the world’s largest chocolate producer, Ferrero, owned by Italy’s richest man. Shortage of funds to run programmes is one of the main reasons WHO is interested in private funds. And FENSA will guide the UN body on how to deal with the private players. WHO gets two types of contribution to run its programmes. All member states pay an annual membership fee called assessed contribution, which is calculated on the basis of the country’s wealth and population. Assessed contribution accounts for just 20 per cent of WHO’s total budget. The remaining 80 per cent is funded through voluntary contributions made by countries, foundations, corporations and philanthropies. The problem is that 93 per cent of the voluntary funds is given for specific programmes. As a result, WHO is unable to implement or support many programs that are decided each year at the WHA. In fact this was the reason WHO gave for its failure to swiftly act during the recent Ebola outbreak. To increase the available funds, WHO director general Margaret Chan had recently asked for a 5 per cent increase in the assessed funds but almost all developed countries shot down the proposal. Instead, they agreed to an increase in voluntary contributions by 8 per cent. “Earmarked funds provide more accountability to the tax payers,” says Lourdes Chamorro, who was part of the European Union delegation at WHA. Member states are generally not willing to provide funds that are not earmarked as they feel that WHO does not provide them with data on how this money is used. At the Assembly, most countries asked for more accountability and transparency at WHO. “The refusal to increase the assessed contribution is the technique deployed to force WHO to be open for corporate influence,” says David Legge of the People’s Health Movement. A day before the WHA, Gaudenz Silberschmidt, director for partnerships and non-state actors at the director general’s office, WHO, said in a public meeting that FENSA was unlikely to be adopted at the recent Assembly. He also pointed out that without the industry funds, a cash-strapped WHO would have to cut down on its projects. Experts point out a variety of ways of improving the framework. Stichting Health Action International, a Dutch non-governmental organisation suggests a ceiling on non-state actors’ contributions, above which money would go to the core voluntary fund. Adam Kamradt-Scott, senior lecturer at University of Sydney, says WHO should learn from existing public-private partnership models that work reasonably well. But amidst a battery of deliberations, the real reason behind FENSA is getting lost. “The policy is now so detailed, complex and long that it is no longer practical. Basic common sense and good judgement should have been enough instead,” Legge says.